Get a chance to win RotoBaller's Premium Pass. will get a full season of RotoBaller's Premium NFL and DFS ($99 value)! Get the app you need to dominate your friends and rivals this fantasy season. Download SquadQL to optimize your ESPN, CBS and Yahoo teams, get player news plus waiver wire and trade suggestions! 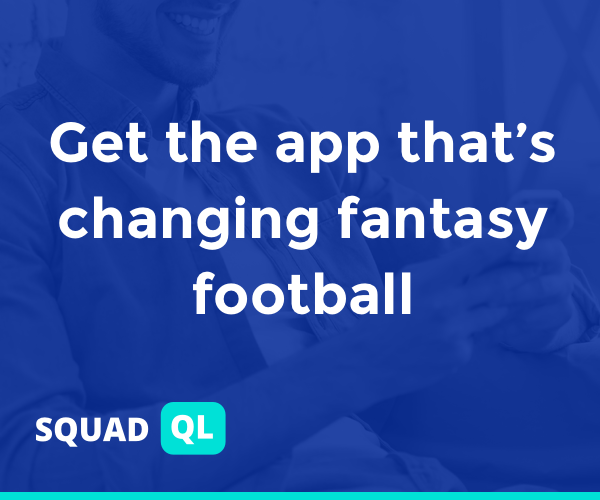 SquadQL is your all-in-one fantasy manager this season.